In WPF 3.5 SP1 new splash screen functionality was introduced. It’s now possible to add static image which is shown before main window is loaded. When all plugins and main window is loaded hide dynamic splash screen and show main window. 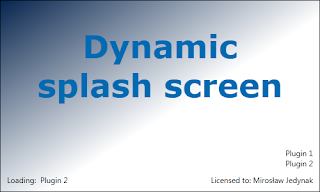 DynamicSplashScreen is reusable class which can be used as base class for your custom splash screen. Check inline comments for details. Creating pixel-perfect static image can be error prone, maintenance hell if you start using external applications like Photoshop – each changed in dynamic version would have to be reflected in static image manually. 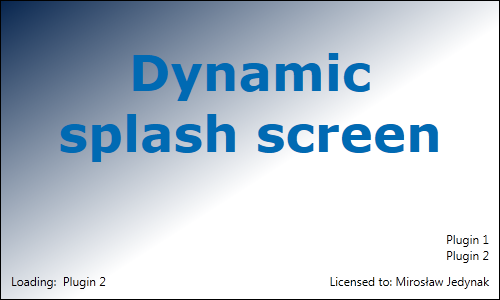 DynamicSplashScreen has another feature: capturing static splash screen image. It used build-in WPF functionality to get Control’s “screen shot” dynamically. You can use this method to generate image and add it to Visual Studio project with build action set to SplashScreen. This still requires some manual work, but it’s not possible (and reasonably) to generate splash screen at runtime. //.... see implementation above ..
but it requires modifying Main(). I was looking for a splashscreen that enhanced the VS2010 feature. thanks, I've learnt a lot from your example. Good idea. However, this method requires loading WPF environment (unlike in the native NET 3.5 SP1) that affects the rate of appearance of a splashscreen. I must say thank you for this. 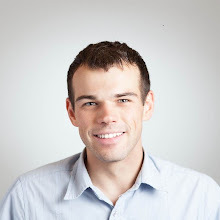 It has to be about the best implementation I've seen yet. I tried placing a label "Close" on the splash screen window. Then tried to close the application on LeftMouseButtonDown event. But that event was never fired. Can you help me with this.